When you decide to start working out, there are different types of exercises you can choose from. Some people prefer the calmness of yoga, while others enjoy fast activities like cardio. Cardio is the exercise that increases your heart rate for an extended period. It burns calories from all over your body and is perfect for building stamina and strength. All athletes do cardio because it is the best way to build stronger muscles. The importance of a warm-up cannot be stressed enough. When you schedule your cardio workout, make sure to add an extra 5 minutes in it for the warm-up. If the shortage of time makes you skip the warm-up, your body will be in trouble. You will be prone to injury during cardio if you don’t start with a warm-up. So no matter what, do not skip the warm-up. Exercise in general, and cardio, in particular, is hard to continue. Your brain may come up with all kinds of excuses to give up. It takes too much time, or your body is sore all the time, whatever it says, do not listen to it. You will have to fight yourself if you want to stick to your cardio routine. Think of the inner voices that tell you to stop as your haters. They don’t want you to be strong, that’s why they want you to stop. Winning this fight against your brain will require commitment and discipline. Be prepared. Cardio, like all other exercises, cannot work overnight. It is not magic. It is hard work, and hard work only pays off in the long run. If you don’t see results after two weeks, don’t feel down. Tell yourself that it is a process that requires time. No good strength building technique works overnight. Those who do are not healthy. Some people go for fat reduction techniques such as coolsculpting. So be consistent and do not give up. When doing cardio, the key is not to stick to one type of it. Mix different types of exercises like running, sprinting, and climbing. Change your interval timing too. You can consider using a waist trainer for men for faster results. You will have trouble timing each exercise, there is no question about it. So to make sure you don’t overdo an exercise or prolong your rest period, use a stopwatch. With the help of a stopwatch, not only will you stay on track, but also be able to shorten your intervals over time. You may get tired pretty quickly while doing cardio if your muscles aren’t strong enough for the effort, which is why it is better to mix weight exercises with your cardio routine for strength building. You can add these bodyweight exercises between your runs for maximum results. Proteins, this is the most common word we hear when talking about weight or diet. Proteins are essential nutrients for a human body; intake of nutrients or can also choose serious mass for quick results. One should get a minimum of 10% of the protein in your daily calories. As protein which helps in making of collagen being effect by the deficiency. Protein aids in blood clotting too. The effort we put in making our self look fashionable, with proper makeup, radiant hazelnut Bella lenses, designer dress, footwear, these can only cover to the outer appearance. For contact lenses, we can search online like contact lenses Dubai. If you get bored easily in the gym, don’t worry. There is plenty of things in nature to keep you interested. Try mountain biking or plain old trail running. This way you will get to enjoy the fresh air and complete your cardio without getting bored. The distractions in nature will keep you engaged, and your run will be over before you know it. If you love swimming, then try going for open water swimming. That will add variety to your cardio routine, and swimming is more intense than regular cardio. So you will get to burn more calories while doing something that you love. It is a win-win situation. 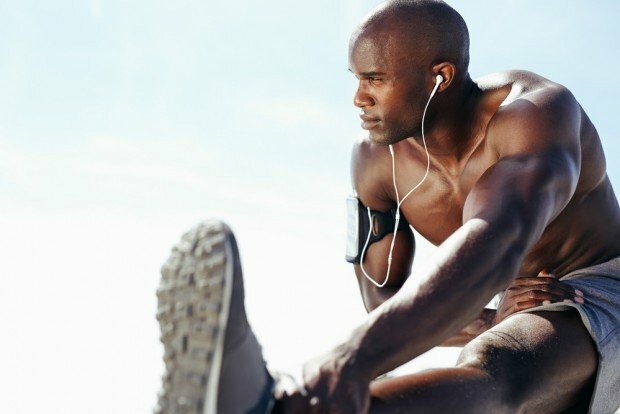 Now that you know how to get the most out of your cardio workout, why not get down to making room for it in your daily schedule. It may feel dull in the beginning but once you get used to it, you will start enjoying it, and you won’t understand why you put it off for so long. Click on the link to find out how you can personalize your fitness regime through DNA testing – the results of your test is applicable for life.